Between December 4-6, researchers, innovators and industry players are present at the ICT 2018 – Imagine Digital event taking place in Vienna, Austria. The event is dedicated to digital innovation and businesses. 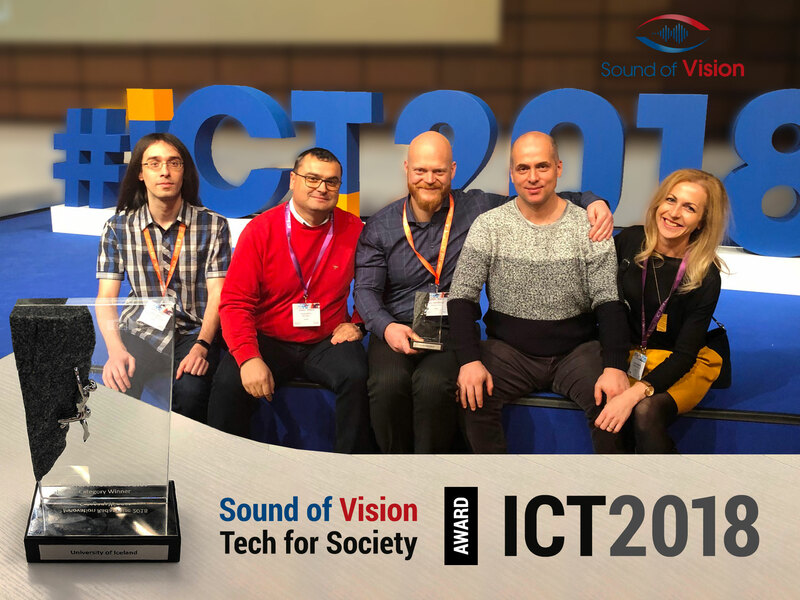 Several key members of the Sound of Vision research team are attending the event together with project information, demos and the system’s advanced prototype! You can find them at the i11 stand within Hall X3 of the exhibition area, at the Inspiring a Digital Society Section. Make sure to pay them a visit!